The bernette 340 Deco is bound to make embroidery one of your favorite hobbies. Embroidering can be that easy! 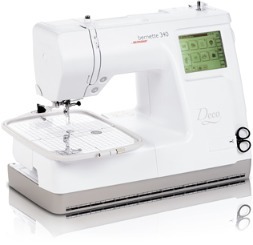 With its extra-large embroidery surface and numerous facilities for editing and combining designs on the machine, the bernette 340 Deco makes creative projects a real pleasure.